How to buy the right Camera System for your Motorcycle Helmet? Sports cameras are a great addition when you love taking the road on long trips, just so you can capture anything that may happen. A lot of events happen on the road, and you may want to document every single thing in case something worth seeing and spreading pops. There are already a lot of motorists who equip their motorcycle helmets with a camera system so they will always be prepared in case something comes up. It’s also pretty cool to have if you want to watch and savor the moments of being on the go. It also enables you to remember roads and highways. These cameras are also important for extreme sports aficionados who want to film and share their experiences with family and friends. They also find the new flips and turns they do worth filming as it’s considered as an achievement or milestone. That said, many camera system have sprouted in the market, targeting not only the sporty people but also everyday motorists. What are the factors to consider before buying the right camera system for your motorcycle helmet? Use – Determine how you plan to use your camera system for your helmet (deeper than the fact that you mount it to your helmet). Do you intend to use it to record videos four hours at a time, such as doing time lapses? What time of the day do you plan to shoot? How important is audio? By finding the answers to these questions, you’ll have an idea of the power of the camera system you need. If you need to record for long hours with good audio and lighting, you may want to get something with high pixels and long battery life. You’ll also want to get something that comes with a large memory card to save all the films you’re going to capture. 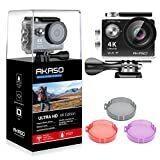 Reviews and Comparisons – Nothing will beat the experiences shared by other users with regards to specific camera brands and types. You may want to read through their reviews to know the strengths and weaknesses of certain brands, which one to avoid, and how to deal with problems in case they arise. Comparisons, on the other hand, give you an idea of what’s available out there in the market in terms of specifications and price. With comparisons, you’ll be able to point out easily what suits your needs and your budget. There are also many videos posted up in sharing sites where you can actually see the quality of the recorded films. Review each of them according to the lighting, time of the day, weather, sport, etc. This way, you’ll have an idea on what the camera can offer. Accessories – These are similar to the mounts that you will use for your camera as well as protective barriers. 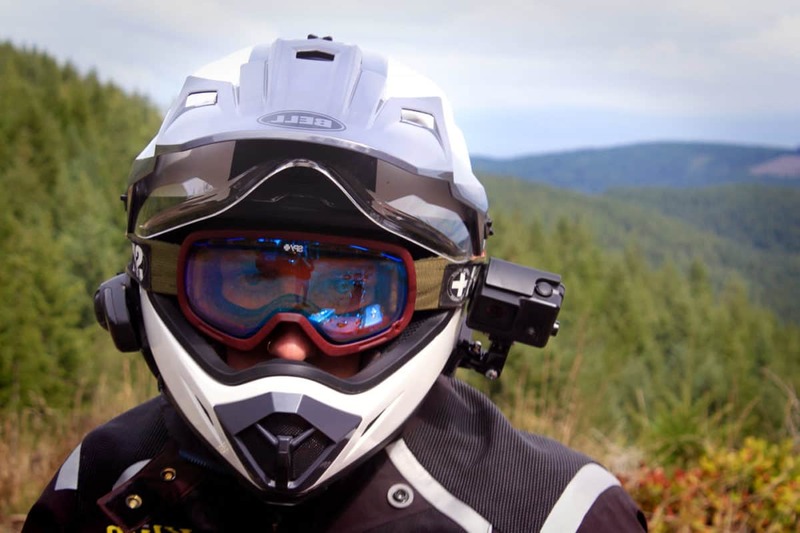 Mounts are important; you want to be able to get one that secures your prized camera onto your helmet, especially if you are riding on bumpy roads or are doing extreme jumps and spin. You want to ensure that the accessory you pick holds down your camera system safely. Key Takeaway: Camera systems are relatively expensive (depending on the specifications of your chosen camera) and they vary from each other greatly in terms of quality and capacity. Make sure to take some time reading through reviews and checking out comparisons to be able to find the right camera system for you. What are the best camera systems for your motorcycle helmet? This camera system is probably one of the most expensive and most popular types of sports camera out there. The built is pretty strong for its small size and can deliver high definition videos. It comes in three varying models, depending mainly on frame rate, pixels, and other features: White Edition, Silver Edition, and Black Edition. Listed here is the White edition, which is their consumer-grade camera. It comes with professional video capture of 1080p x 30fps, 960p x 0 fpts, 720p x 60 fps. It has 5 MP for photos with 3fps burst mode. This one almost shares a similar look to GoPro’s sports camera but this is very much cheaper. So if you’re in a budget, this may sound like a good substitute. 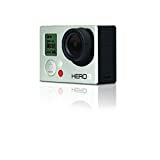 It has a video resolution of 720p or VGA, which is lower than what the consumer model of GoPro can give. The image resolution is the same at 5 MP. Unlike the GoPro, the Gear-Pro comes with a two-inch touch screen for video playback. It includes a shockproof and waterproof case. This camera has slightly the highest quality of videos and photos compared to the ones above. For the low price you have to pay, you will get 1080p x 30 fps videos and 12 MP photos. It is great for heavy outdoor use because it is water resistant of up to 30 meters and has 2.5 hours of battery life. With this, capture more using the 170-degree wide-angle lens. You can also get extra accessories for this if you wish to mount it elsewhere other than your motorcycle helmet. Having a camera system mounted on your motorcycle helmet is a great addition especially if you ride your bike for hours at a time or you perform jump and spin tricks on a motorcycle. It enables you to capture special moments, unusual and surprising scenes that you can store for years to come. It adds up to memories that you can relive in the future.